I hope you all had a very merry Christmas and that you didn’t neglect tea in favour of other indulgences. I certainly didn’t! In fact, I made tea one of my main indulgences by enjoying some tea cocktails. 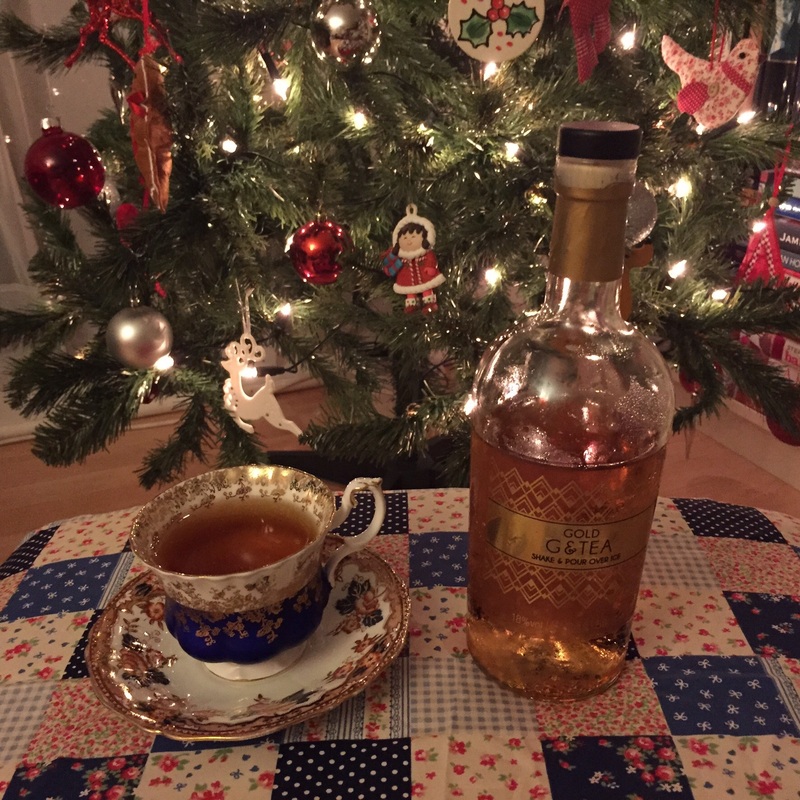 With the edible gold leaf in this cocktail it really is very festive! It’s a blend of gin and M&S gold tea with some apple juice, elderflower and lemongrass. You can taste the tea which is good as it could easily have been overpowered by the other flavours. As someone who doesn’t drink gin very often I found it a bit strong but it’s perfect poured over some ice. It’s also nice with a touch of lemonade if you like carbonated cocktails. I’d recommend getting your hands on this because the indulgent nature of the gold leaf would make it perfect for New Years Eve! I have named this cocktail after the tea I used and, as all the ingredients used have a French twist, I thought it was very appropriate. It’s a blend of vodka, cold brewed Ceylon tea with lemongrass and lemon tea syrup served over ice. Ceylon is a delicate black tea which works well cold brewed. It’s distinctive taste means that it isn’t overpowered and so it goes well in cocktails. The tea I used is a Ceylon with dried lemongrass which I bought from Sadaharu Aoki in Paris which is the most amazing Japanese patisserie. I used Grey Goose vodka as it is distilled and bottled in France. The Monin lemon tea syrup is a nice sharp syrup but adds a bit of sweetness to the cocktail and a bit more of a tea flavour. To make this cocktail you need to cold brew some Ceylon and dried lemongrass for 6 hours and then add a dash of vodka and some lemon tea syrup to taste before pouring over ice. This is a really smooth vodka which contains oolong tea and elderflower making it lovely and floral. The tea is a delicate flavour in the vodka but it does come through. Due to the complex flavour of the vodka I think it goes best with either lemonade or ginger ale over ice. This means that you still get the flavour of the vodka coming through and the sharp flavours of lemon and ginger suit it well. 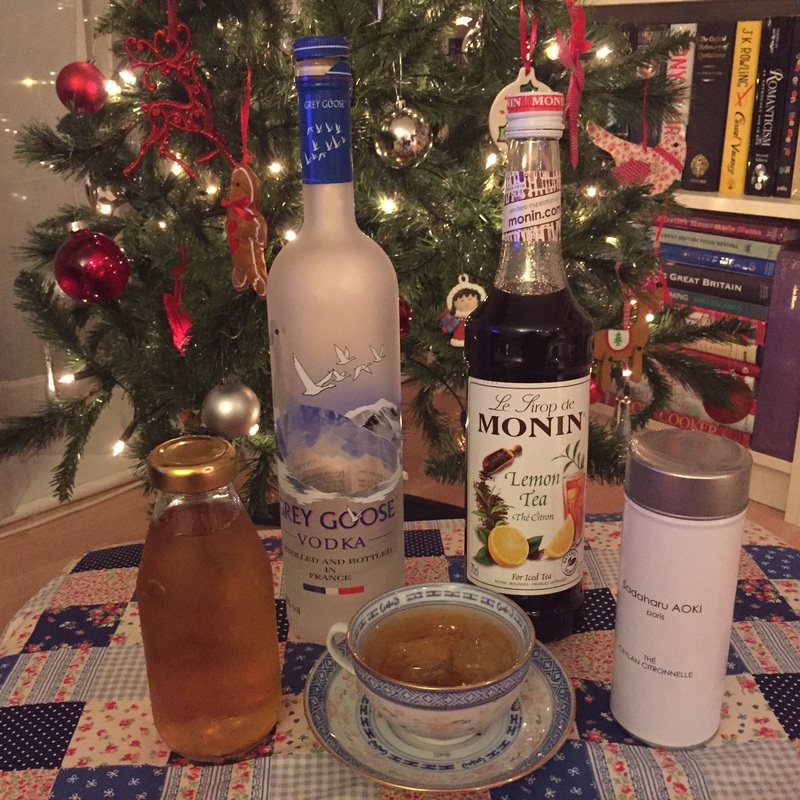 This entry was posted in Tea at Home and tagged Absolut, Alcohol, Alcoholic Iced Tea, Ceylon, Gin, Grey Goose, Lemon Tea Syrup, Marks and Spencer, Monin, Tea, Tea Cocktails, Vodka. Bookmark the permalink. Great post. 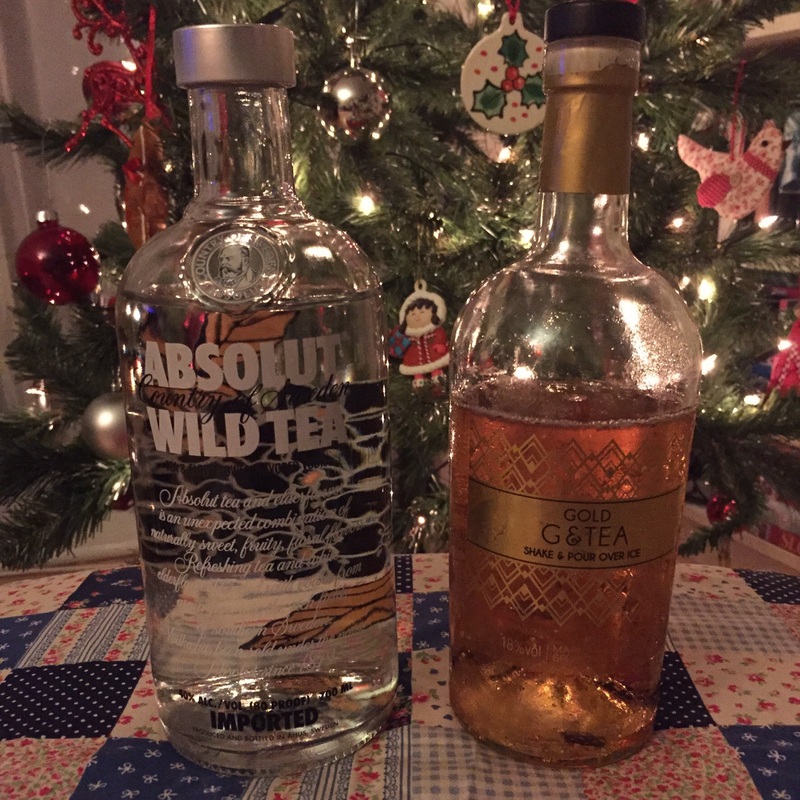 I love the idea of tea cocktails but haven’t tried one yet as they’re not the easiest things to find in pubs/ bars, but now I have a recipe – thank you! Thank you. 😊 They aren’t the easiest to come by but I think they are becoming more popular. The best in Cardiff are definitely Chaiholics! You’ll have to let me know if you make some and how they turn out. Mmm. G and tea sounds heaven. It is lovely. The gold leaf makes it feel really special too! It’s really good. It’s not seasonal so you should still be able to get some.